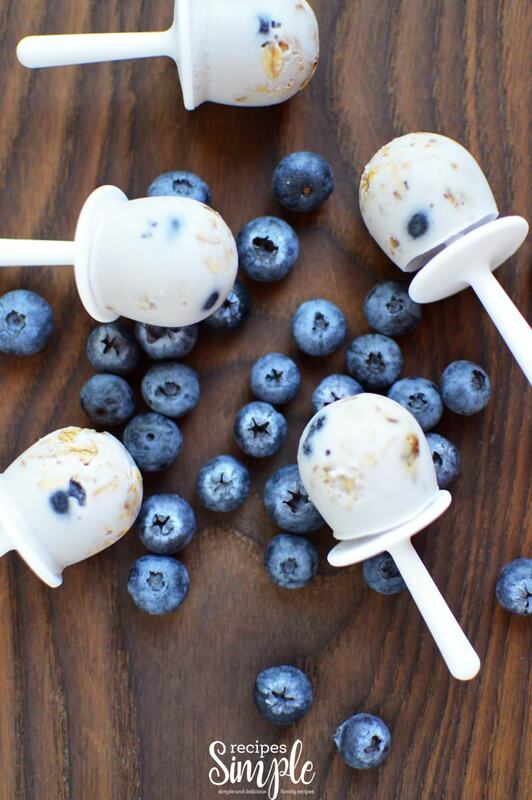 This delicious frozen Breakfast Blueberry Granola Popsicle Recipe makes breakfast fun again. Transform an ordinary breakfast into something quick and easy that everyone will love. These are the perfect kid friendly breakfast on the go. These are great to have on hand for those busy mornings when you don’t have time to make anything. 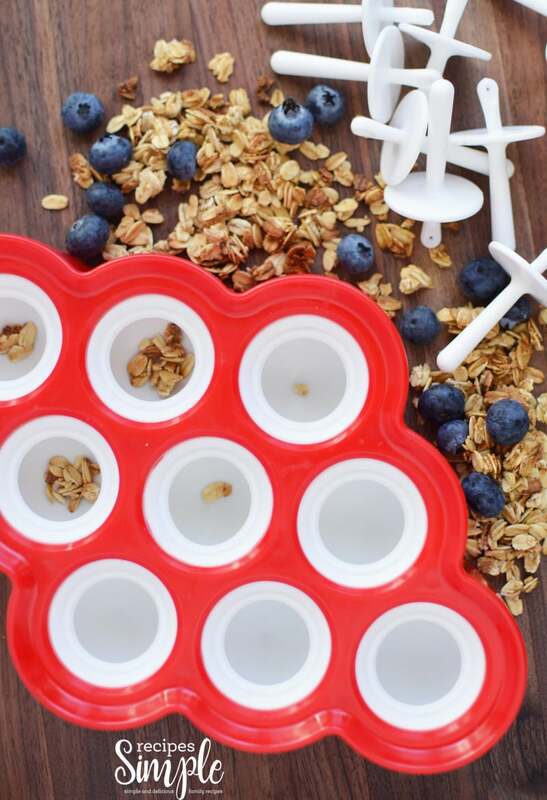 Even your pickiest eaters will enjoy these Breakfast Granola Pops. These also make a great after school snack or refreshing summer snack when the kids are outside playing. You can make different flavors such as strawberry or peach. 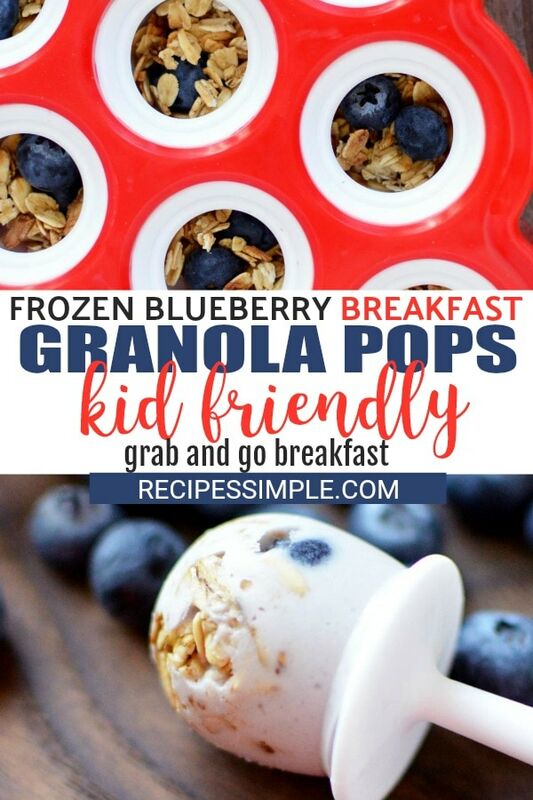 Scroll to the bottom for printable Frozen Breakfast Blueberry Granola Pops recipe. 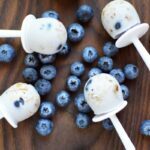 To make these breakfast granola pops you’ll need blueberries, granola, a ripe banana and milk or almond milk. Place the granola and blueberries into the wells of the mold. You can add more or less of these to your preference. 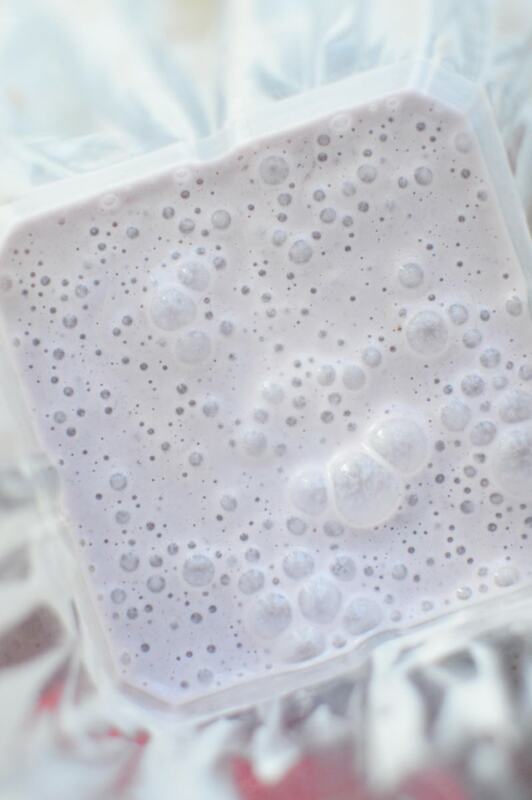 Blend together the ripe banana, blueberries and almond milk, until a smooth consistency. Slowly pour the almond milk mixture into each well trying not to over fill them. 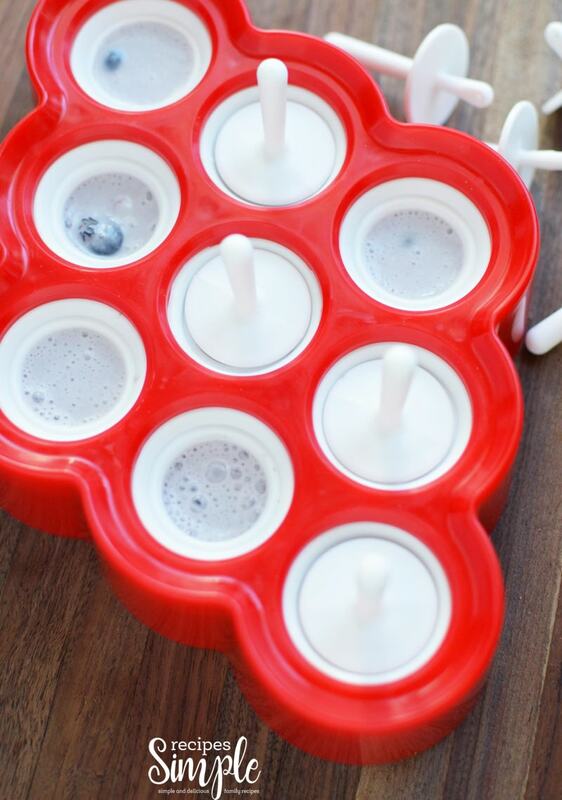 Set in the pop holders or Popsicle sticks and place in the freezer. Freeze for at least 3 hours depending on the size. 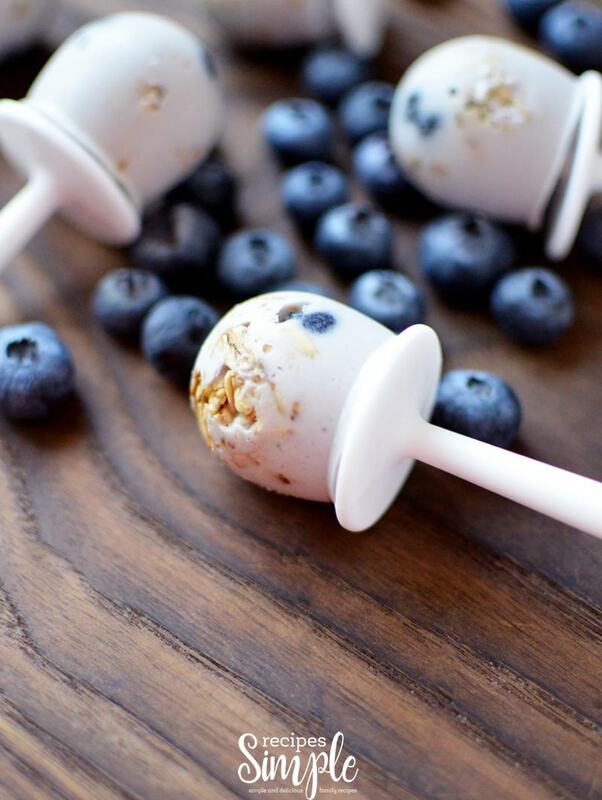 Breakfast Granola Pops make breakfast fun again. Transform an ordinary breakfast into something quick and easy that everyone will love. 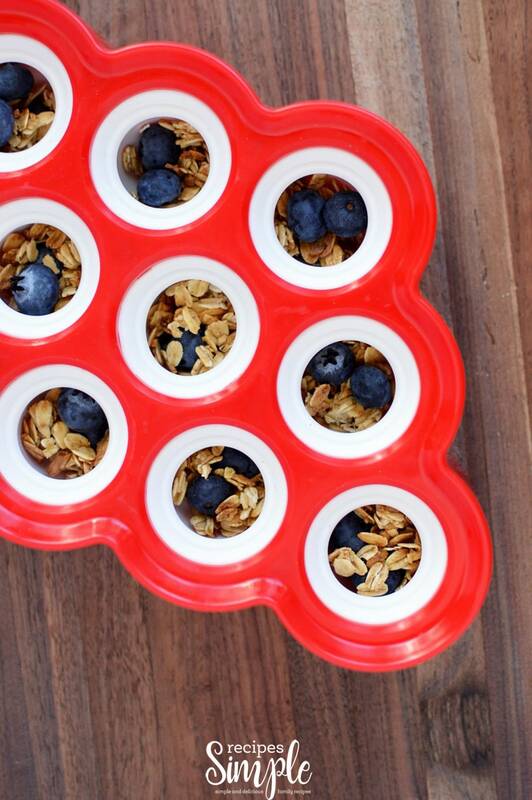 Place the granola and ½ cup of blueberries into the wells of the mold. You can add more of less of these to your preference. Blend together the ripe banana, ¼ cup of blueberries and almond milk until it's a smooth consistency. Slowly pour the almond milk mixture into each well, trying not to over fill them. Freeze for at least 3 hours depending on the size. This tray is a perfect place to store them until you’re ready to eat them all.